Last month, we had the honor of spending time with two very special members of the Marine Corps family, Heather and Christian Golczynski. They joined us for our ninth annual Patriots at Pebble golf tournament – an event dedicated to showing our appreciation for Marines. It was a great weekend with a clear highlight: the moment Christian took the stage. While serving during Operation Iraqi Freedom in 2007, Christian’s dad, Staff Sergeant Marcus Golczynski USMC, was killed in action. 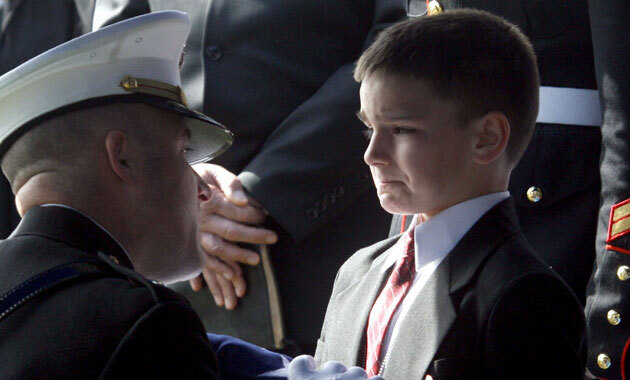 Christian was just 8 years old when he was presented with the flag that had been on his father’s casket. That moment was captured in an iconic photo that soon became a symbol of American resilience during the war. It is our honor to support Marine families like the Golczynskis by investing in students like Christian. We invite you to take a look at some of our favorite moments from our time with the Golczynskis and other great members of the Scholarship Foundation family on Facebook. 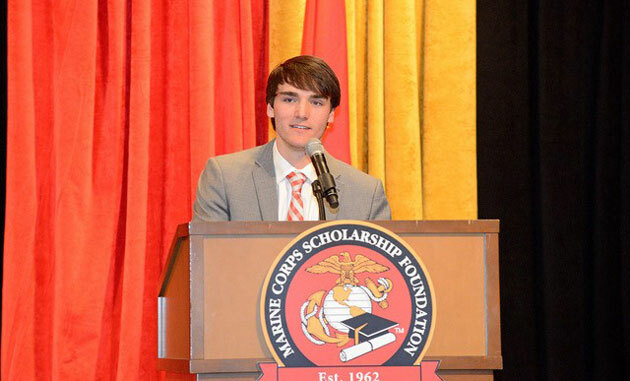 Thank you so much for your generous support of the Marine Corps Scholarship Foundation.